Perfect for outdoors or indoors, these wind chimes will add a bright atmosphere to your home, garden or pathway. Use them outdoors to give a pleasant chime in the breeze, or indoors, maybe by a door to gently announce the entrance of visitors to your home. Leaping into the breeze, these pewter, dolphin-design wind chimes are enhanced by a light-catching, simulated crystal. 4 7/8" x 1/4" x 15 1/2" long. Dark blue dolphins enliven this wind chime with the spirit of the sea. Acrylic. 2 3/4" x 2 3/4" x 24" high. 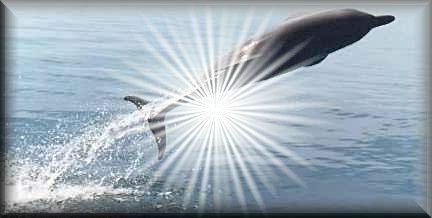 Please bookmark CollectibleDolphins.com for Dolphin Wind Chimes and much more.